Glasgow restaurateurs Marco and Mario Arcari like to take their time when opening a new outlet. The father and son behind four La Vita restaurants in Glasgow prefer to focus on each eatery in turn, getting the restaurant just right before considering the next location. It’s taken the Arcaris close to 20 years to grow their estate to four venues, focused as they are on getting everything right before progressing. And the opening of the family’s fifth restaurant was no different. “We don’t jump around opening a hundred places,” Mario told SLTN. The family acquired the site of their new eatery, on Glasgow’s Gordon Street, earlier this year for £1.2 million. Most recently a retail unit, the space required a considerable refurbishment before it could be reopened as an Italian eatery. We don’t jump around opening a hundred places. We just want five or six good, solid places. As usual, the Arcaris were more than happy to put the time in. Over a period of nearly six months the former Robertson The Coat Company store was stripped out and completely rebuilt as La Vita Spuntini. It’s the second of the family’s restaurants to operate under the Spuntini name. 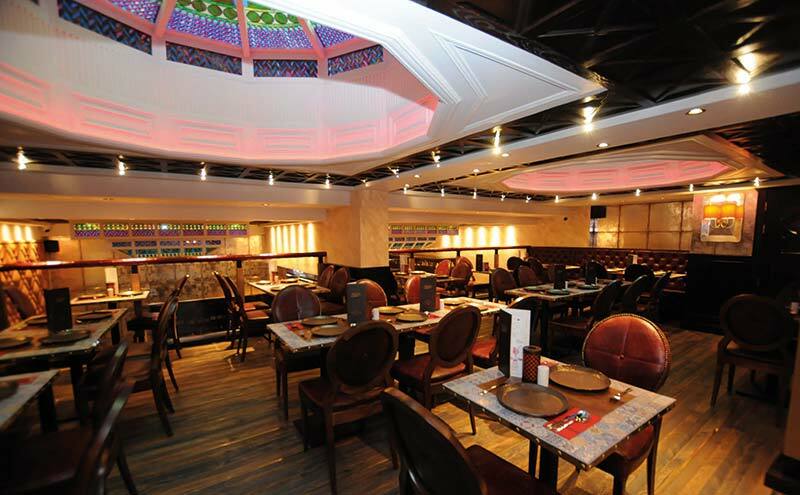 In contrast to the other restaurants – two La Vita Pizzerias, in Bishopbriggs and George Square and La Vita Piccolino E Vino in Newton Mearns – which are more traditional Italian restaurants, the Spuntini outlets are focused on small plates and sharing dishes; essentially Italian tapas. Marco said the decision to extend the Spuntini name to a second unit was based on two factors: the close proximity of the family’s George Square restaurant (they didn’t want to cannibalise its business) and the recent performance of the La Vita Spuntini restaurant on Byres Road, which he said has “gone from strength to strength” in recent years. Working with interior design firm Burns Design and lead contractor Severino Designs, the family has created a restaurant that draws inspiration from its sister venues and the city itself as well as the Italian heritage that informs its food and drink offers. Dark wood panelling and distressed leather feature in the venue’s booth seating, contrasted by a splash of colour from the pink blossoms positioned throughout the space and the Italian tiles included in the restaurant’s free-standing tables. The bar area – a first for a La Vita restaurant – sports a marble bar-top backed by a gantry of dark wood and stacked with Italian spirits and liqueurs. “Hopefully we get people coming in for a drink as well (as food),” said Mario. “Or if we’re full and they haven’t booked they can have a seat at the bar and we’ll get to them when we can. We’ve had to do that at George Square, but the problem is we don’t have a bar area at George Square so we’ve had to send them to someone else and then they’ll come back. We’re planning to be here for a long time, so we put the work in to make sure we don’t have problems. 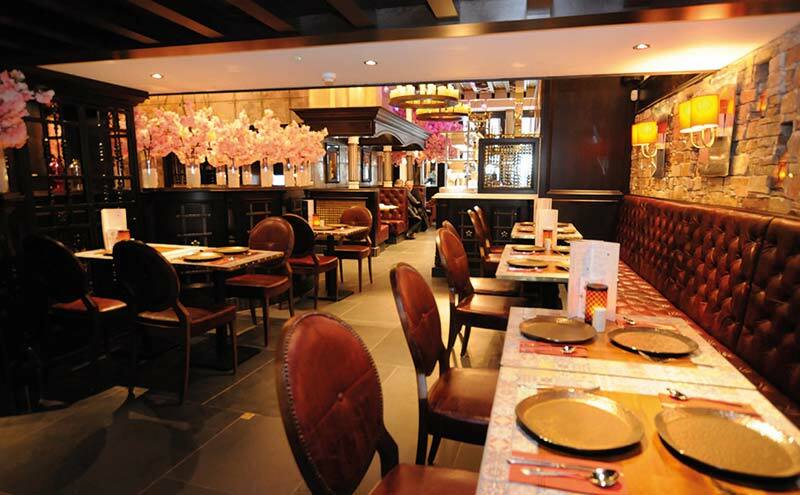 Photographs of famous Italian celebrities and a blossom tree greet customers as they enter the restaurant, as well as a metal sculpture inspired by a similar piece in the Byres Road restaurant, which features Italian scenes that are each inspired by an aspect of the Glasgow coat of arms. In the main restaurant area the high ceiling allowed for the creation of a mezzanine floor which looks out across the ground-floor restaurant and bar areas and has brought the capacity of the venue up to 120 covers. The ceiling itself already included a large dome-shaped aperture, which the family decided to fill with stained glass to create a visual feature, and which was then duplicated on a second section of the ceiling. Together the stained glass apertures provide a bright space for the diners on the mezzanine level. On the ground floor, a storage space for wine has been opened to the restaurant via a metal gate and the bottles softly lit, creating another focal point for customers. Not all of the alterations are visible to the public. Mario said there was some structural work required to strengthen aspects such as drainage and to ensure the property should be in good shape for years to come. “We’re planning to be here for a long time, so we put the work in to the foundations to make sure we don’t have any problems in ten years’ time,” he said. “We probably could have got away without doing it because the structural survey didn’t say it was necessary. “But it might cause us a problem in ten years’ time and you don’t want to start ripping the place to bits in ten years. The things we’ve bought and the things we’ve built are here to last a long time. “We’ve spent a lot of money, but the hope is we’re not going to have to replace it in two years. In total, Mario estimated that the refit of the space cost the family between £700,000 and £800,000, bringing the total spend to close to £2m. It’s a significant outlay, but the Arcaris are determined to get the offer at the restaurant just right. On the food side the menu at the Gordon Street eatery stays close to its Byers Road sister venue. Examples from the menu include Pennette Spuntini (Italian sausage, pine nuts, olive oil, wild mushrooms, fresh garlic and sun dried tomatoes, finished with balsamic vinegar); Alette di Pollo (chicken wings oven roasted, tossed with sticky sweet sauce and jalapeño peppers); Cacciucco (mixed seafood Italian stew slowly cooked in a San Marzano sauce with fresh basil and red chilli); and Anatra al Nero (duck and Stornoway black pudding with a red currant jus). On the drinks side, the list of around 50 Italian wines is complemented by Italian lager Peroni on draught, a range of Italian spirits and liqueurs and a list of cocktails. Mario said that with the venue’s dedicated bar area he and Marco were keen to provide a broader range of drinks than at their other restaurants, and bar staff have undertaken cocktail training with a view to creating their own serves. “We’re trying to train them on the actual mixology part of it, so they understand how a cocktail is built and what components go into it,” said Mario. We could have opened the doors today but we want to make sure we get off on the right foot. The 25-strong team has been largely hand-picked from the Arcaris’ other restaurants, with the general manager and head chef both recruited from the Byres Road restaurant. Both are long-standing members of the La Vita team. “There’s always a bit of a nightmare the first couple of weeks, with teething problems, so we’re trying to reduce that as much as possible by bringing in people that know how we run things,” said Mario. When SLTN visited the new venue the Arcaris had just delayed the opening for a week in order to perfect the finishing touches. It was a decision that seems typical of how they have built their business: focus on getting things right before moving on. “We could have opened the door today but we wanted to make sure we got off on the right foot,” said Mario. Companies involved in the refurb of La Vita Spuntini included Burns Design and Severino Designs. And food and drink suppliers include Conetta Wholesale; Continental Quattro Stagioni; Carnevale; Azzurro Coffee and C&C Meats. 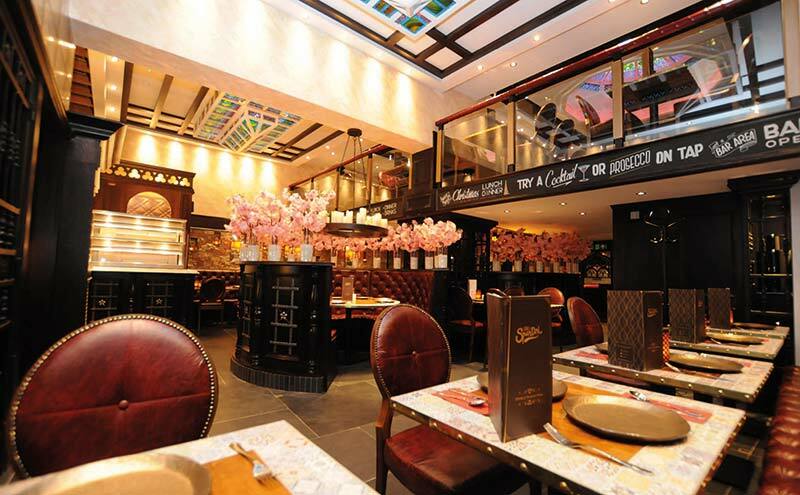 And Charles Wright, managing director of C&C Meats, praised the Arcaris, saying: “La Vita restaurants serve excellent quality food, in a family-oriented atmosphere, where staff are second to none.